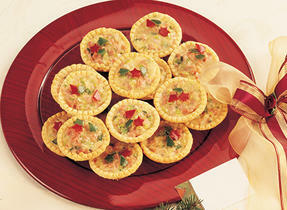 Top prosciutto with Boursin® Cranberry & Pepper or with Canadian cream cheese. 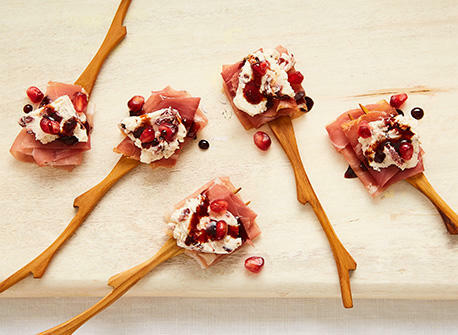 Drizzle with pomegranate molasses and garnish with pomegranate seeds; enjoy. Pour pomegranate juice into a small saucepan. Bring to a boil and let reduce until syrupy. Transfer to a jar and let cool. Cover and store in the refrigerator.